Our sci-fi graphics may be used on personal websites and educational projects. Are you talking to me? Green alien with purple eyes. 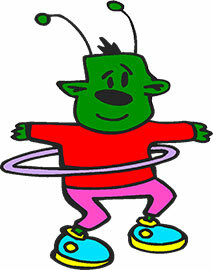 Space alien playing with a hula hoop. 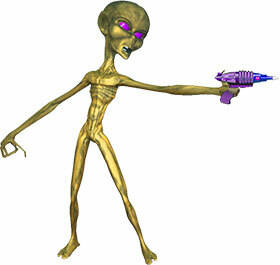 Space alien with his ray gun. "I know what you're thinking punk, have I fired 6 blasts or only five?" I think I will leave the rest of that to Dirty Harry fans. So, this is how aliens arrive on earth. I thought they had spaceships. 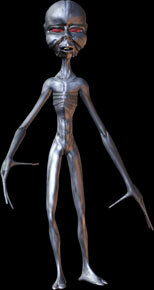 Alien hanging out at Area 51. Space alien with red eyes and blue skin for black pages. 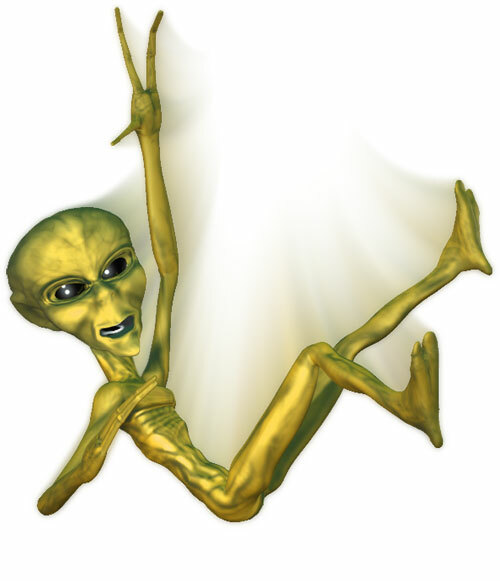 If you save and use our space clipart please give us credit. 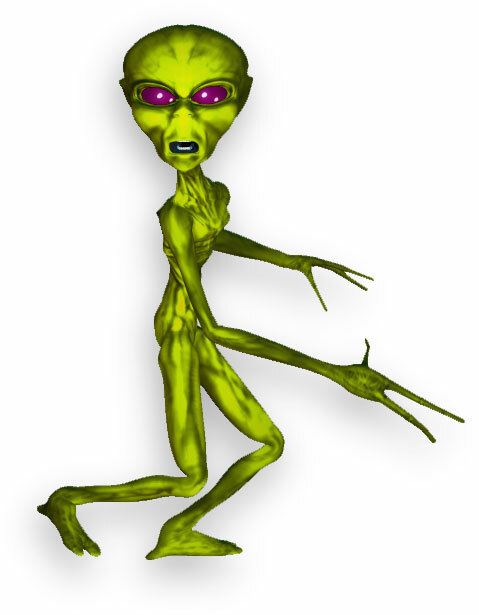 You may use our space aliens to enhance your website.